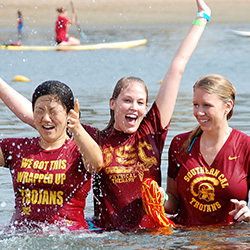 One of the many ways to support the athletes of Special Olympics Southern California is by hosting or participating in fundraising activities or events. to benefit our athletes. Because of philanthropic efforts like yours, we are able to make a difference in the lives of individuals with intellectual disabilities. Fundraising events and activities are help throughout the year in many different regions of Southern California. See below for a list of Special Olympics-organized fundraisers available for donation and/or participation. 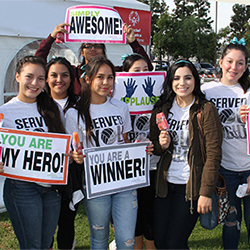 Donates your time, talent, and creativity to collecting funds for SOSC through the support of friends, family, and community in a variety of ways, with little or no Special Olympics staff involvement. 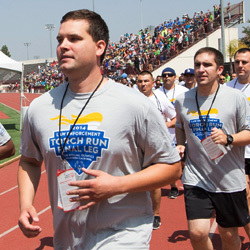 Since its inception in 1981, more than 97,000 law enforcement officers have raised more than $500 million for the Special Olympics movement worldwide. The Torch Run has become the largest grassroots fundraiser for Special Olympics. 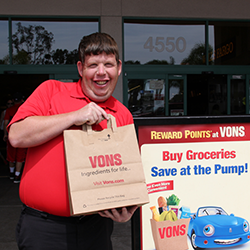 There are lots of ways to help Special Olympics Southern California while you shop — or even sell.